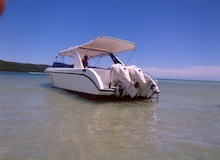 Great White is a large and extremely quick twinned engine custom built 38 foot fiberglass speedboat. Her upgraded twin 250HP Evinrude engines pump out 500 HP in total giving her a top speed of 38 knots and a comfortable cruise speed of 28 Knots. You can therefore rest assured that Great White will comfortably deliver you to the best destinations in the shortest possible time. Great White is licenced to carry 26 passengers however Pattaya Yacht Charters limits the number to only 16 passengers so that you will be even more comfortable. 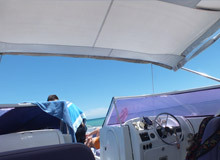 The boat has a huge Bimini which offers excellent shade from the sun’s powerful beams. 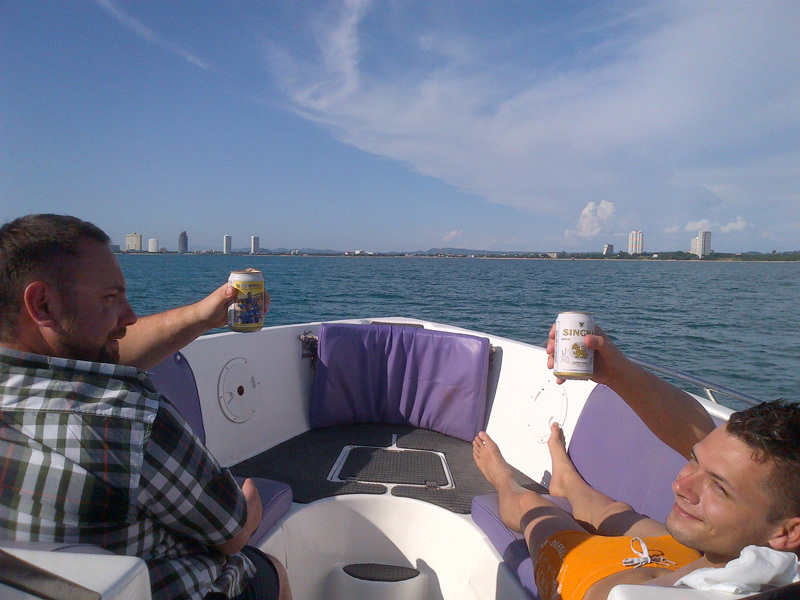 There is also a delightful sunny seated area which is located at the bow. 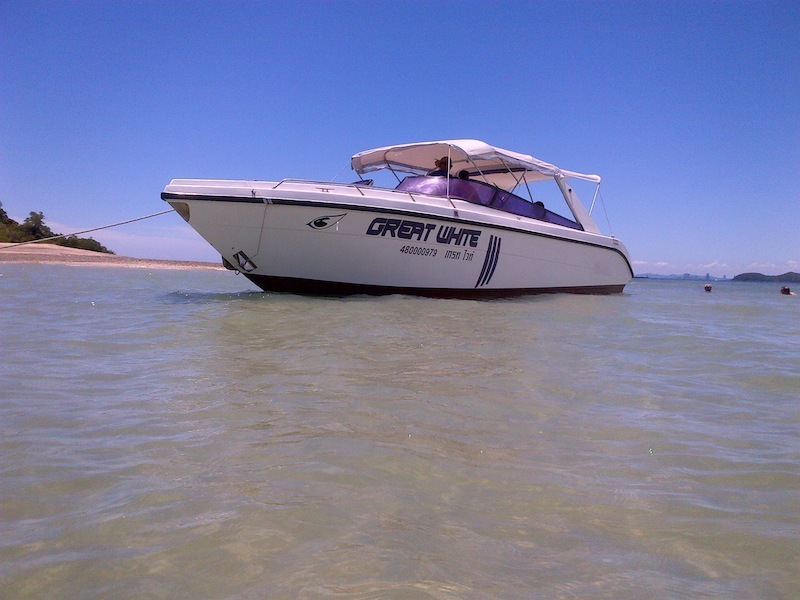 Great White has the standard marine toilet and fresh water shower as well as several special features such as its detachable bow allowing for easy ‘nose first’ beach access. 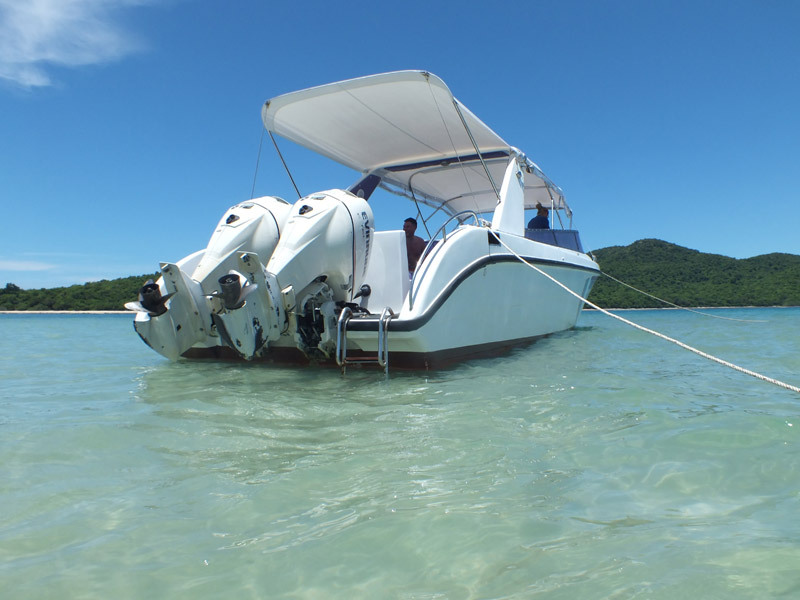 It also has hidden compartments under the seats which are capable for storing 20 scuba tanks allowing for up to 8 Scuba Divers and 2 instructors to enjoy a VIP Scuba Dive experience. 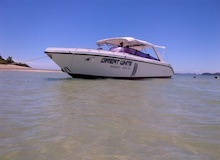 Great White Offers two types of Private Charter. 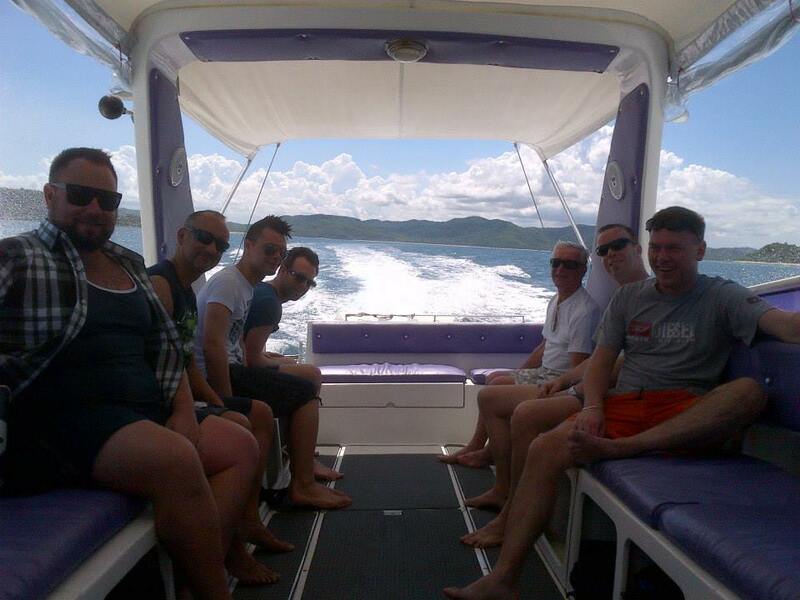 A Full Day VIP Speedboat Private Charter with Lunch at delicious Thai and Seafood restaurant. 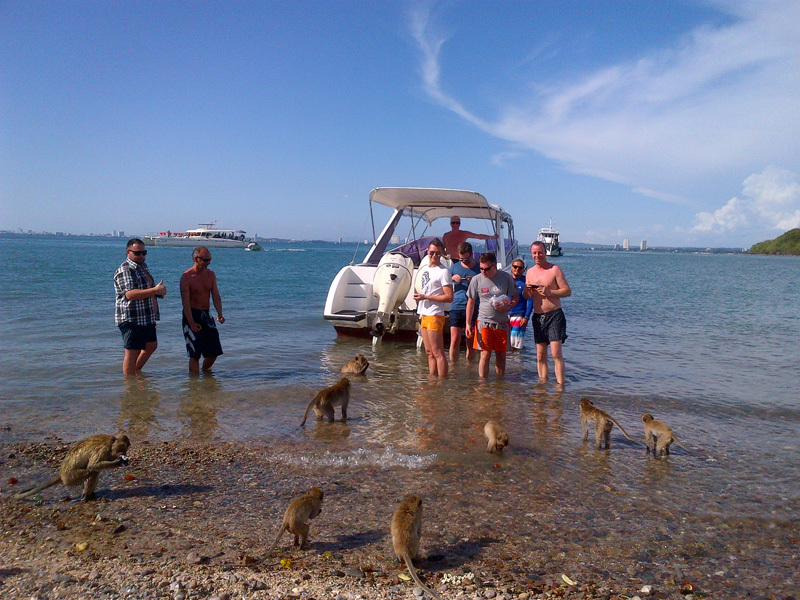 Feed the Monkeys at Monkey Island! 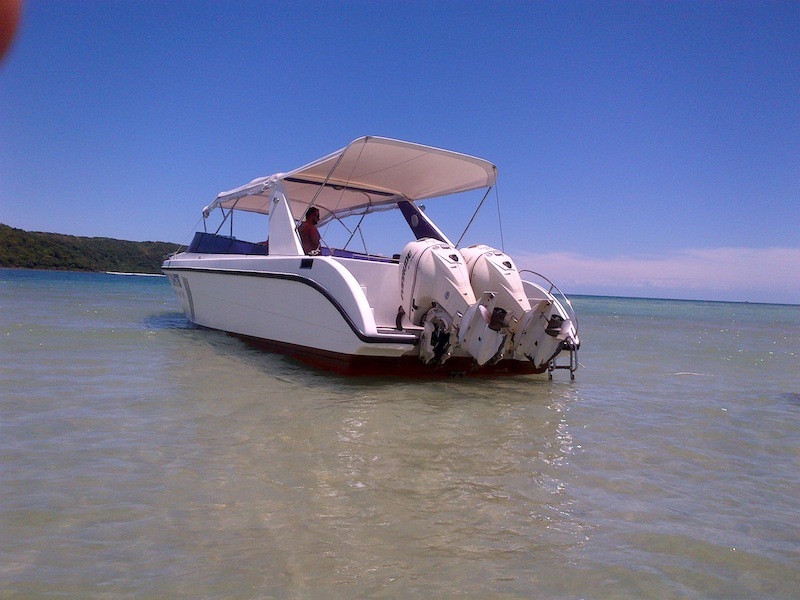 Enjoy a full day VIP private speedboat charter to white sandy beaches and deserted Islands. We guarantee that we will take you to the best spots with the best beaches and clearest waters whilst always avoiding the crowds. 9.30am - Hotel pick up. 10am – 1pm. 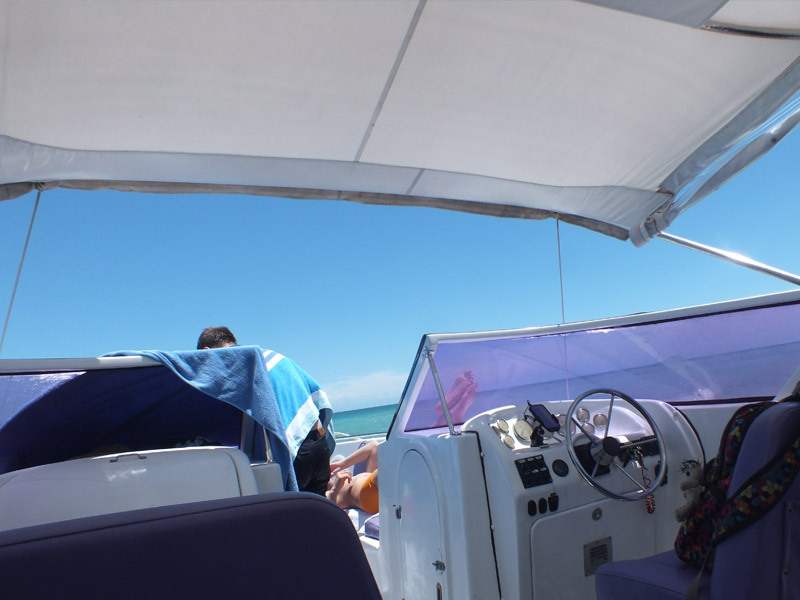 Welcome and board boat before 10am.Cruise to various deserted beaches and enjoy snorkeling and swimming in the clear waters and stunning coral reefs. Explore some deserted bays and beaches as we find the best spots for you depending on the day’s weather conditions. pm-3.30 pm - Head to Sai Kaew Navy Beach where you can enjoy a range of Thai and Seafood dishes at the delightful restaurant. Relax, swim, bathe, eat and drink! From the Navy Beach you can also try sea kayaking if you would like? 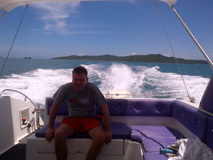 Head back to mainland for around 5pm and transfer back to hotel around 5.30pm. A variety of freshly cooked delicious Thai and Seafood dishes. Snacks – Watermelon, apples, Crisps & Chocolate cup-cakes. Mineral Water, Coke, Fanta orange, Sprite, local beers. 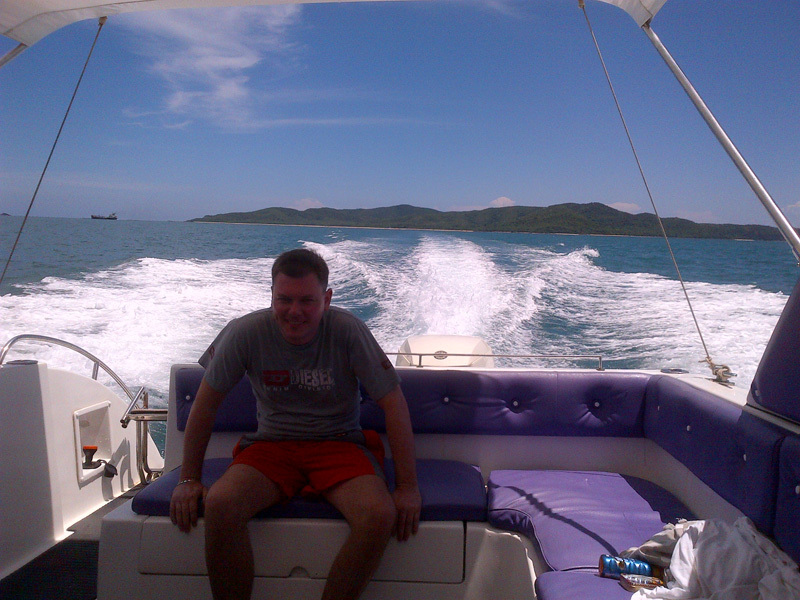 TRIP B: Private VIP Scuba Dive Charter. 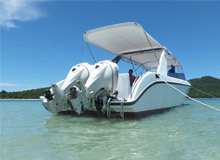 Cruise to the chosen dive sites at high speed and in style. When diving on-board the Great White we will get to locations the fastest which allows you to have much more time actually enjoying the location instead of traveling to the location! 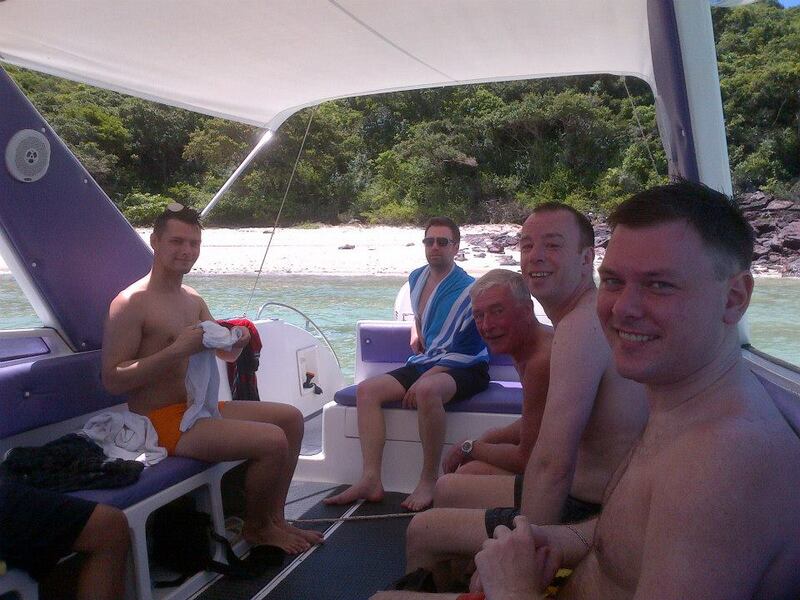 Once the dives have finished we can do as you please. 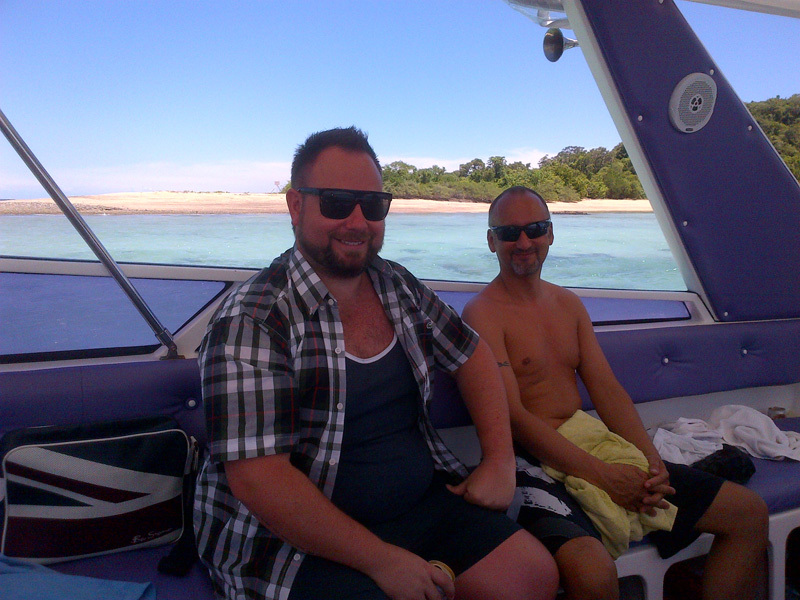 Perhaps some snorkelling at some different coral reefs or relax on a deserted island? Perhaps you would like to try sea-kayaking? Lunch will be at an excellent restaurant on the idyllic Sai Kaew Navy beach. There will be plentiful freshly cooked delicious Thai and seafood dishes to enjoy. ·10am – 2pm. 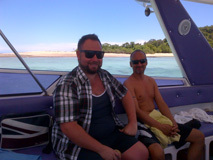 Welcome and board boat. 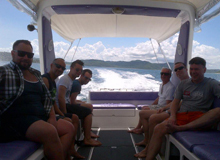 Cruise to chosen dive sites to enjoy some amazing scuba diving. Afterwards we can visit various deserted beaches and enjoy snorkeling and swimming in the clear waters and stunning coral reefs. 2pm-3.30 pm - Head to Sai Keow Navy Beach where you can enjoy a range of Thai and Seafood dishes at the delightful restaurant. Relax, swim, bathe, eat and drink! From the Navy Beach you can also try sea kayaking if you would like? Head back to mainland before 5pm and transfer back to hotel before 5.30pm. Price for scuba dive depends on type of dive requested. Please email us for details.